Holder box style - Adjust .thz-circle-progress-holder box style. Progress - Setup your progress bar size and animation. Progress bar colors - Setup your progress bar colors. If multiple fill colors, bar fill becomes a gradient. 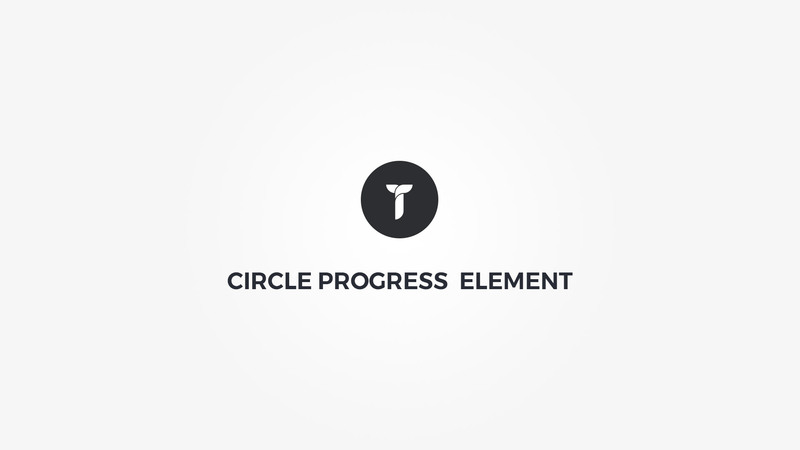 Progress value - Choose progress circle value. Percent or custom defined text/icon. Background - Adjust .thz-circle-progress background. Metrics - Adjust outer circle metrics. Background - Adjust .thz-circle-progress-inner background. Border - Adjust inner circle border. Title - Add progress title. Title style - Adjust title look and feel. Title separator - Adjust title separator. Separator is located between title and text. Text - Add progress text. Text style - Adjust text look and feel.